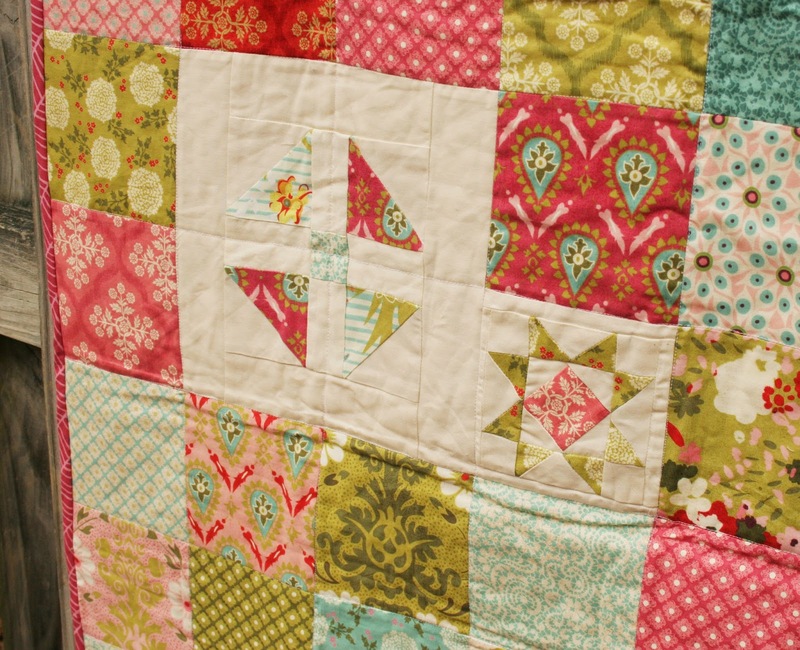 I made this sweet little quilt with a vintage look from a Hello Luscious charm pack (5" squares). I love love the palette of this collection, I think it is so pretty and sweet. I decided to make some traditional quilt blocks to throw in with the squares. I wanted to give it a little more personality. I stitched-in-the-ditch for quilting, meaning in the seams of the quilt. 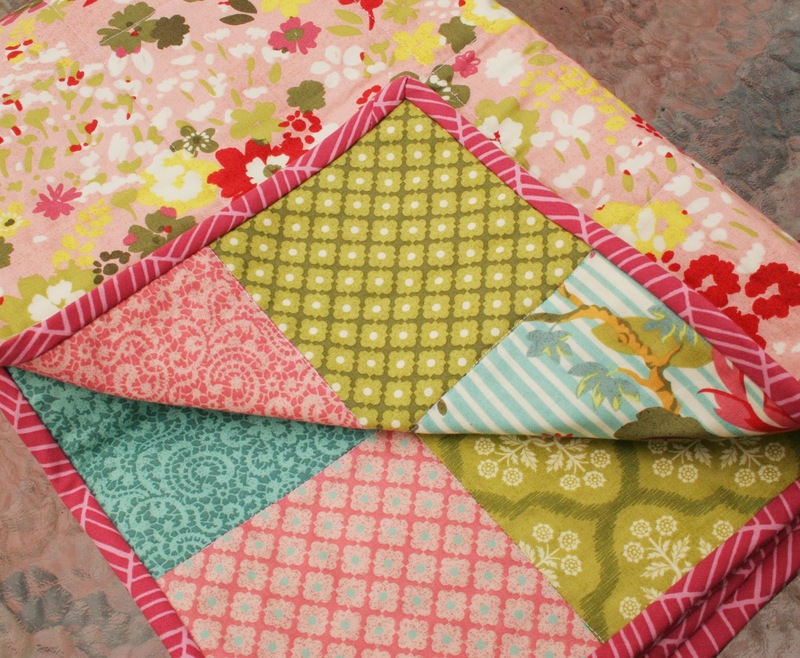 I always use a thin cotton batting, this quilt will be so sweet and crinkly when it gets washed up! I used a soft pink print for the backing. And raspberry herringbone for binding. I'm adding this to my mental list of prints I like on bindings! 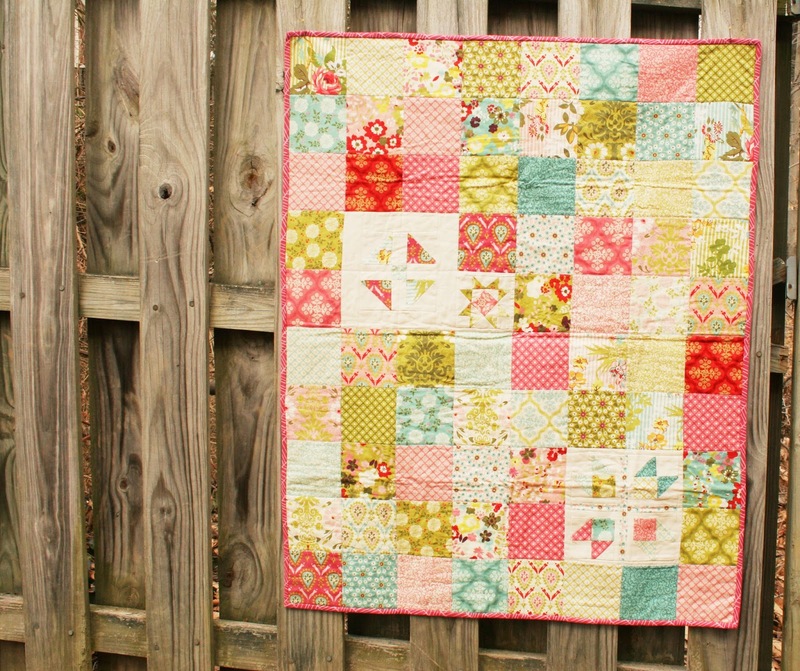 I love this sweet little quilt!! It is very much "me" from the prints to colors. When it comes to babies I'm traditional in wanting super sweet and simple things. 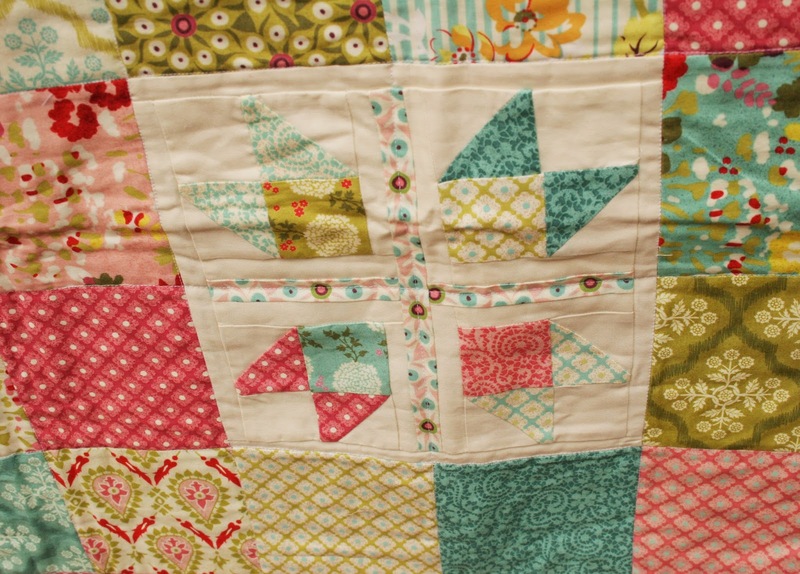 I've decided to sell all of my quilts I'll share this week in our shop. They're all currently listed. Thanks for stopping by!! Come tomorrow, Wed and Thurs to see the rest!!! I noticed the traditional blocks right away and thought, "What a great idea." Love the colors in the fabric too. Soooo soooo cute!! I love everything about it! Congratulations for the hard work! I'm also good at starting projects... But it's nice to finish them too! I like this one. I agree, the colors are sweet and pretty. I would add warm too. I'll come back tomorrow to see the second one. You've definitely been on a roll - congrats! I like the traditional blocks amongst the squares. Looking forward to seeing the rest!